One nice thing I stumbled upon during this year's mostly underwhelming CTIA cellphone show was Samsung's wall of 300 OLED displays, the same screen used in their Omnia. Samsung had a good thing going, but then they blew it by sticking the following slogan on the placard beside it: "meaningful innovation, wow experience." Seriously? 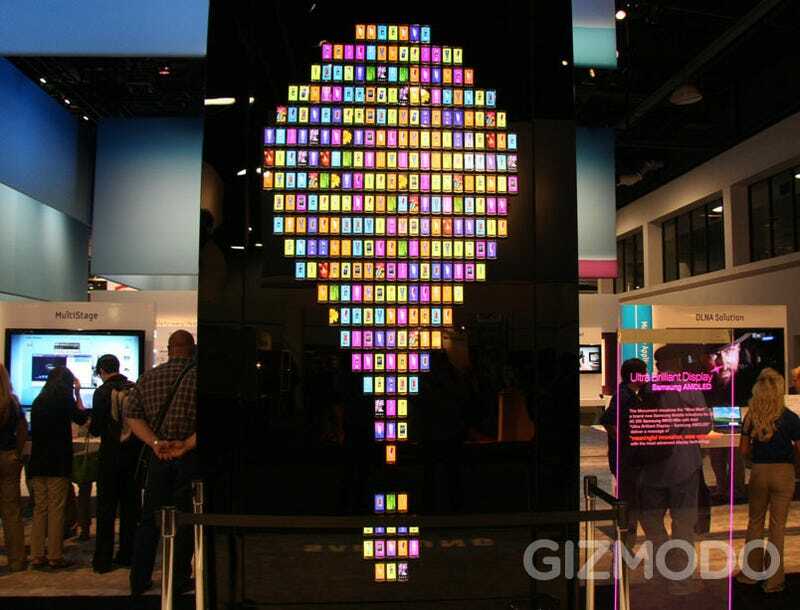 Sounds like a move by the same committee who commissioned this beautiful AMOLED screen to begin with, then saddled it Symbian, instead of Android, or even WinMo 6.5.